In this world of sports specialization, it’s hard to conceive of a single Major League Baseball player outperforming each and every one of his league peers in all three major batting categories: 1) Home Runs, 2) Runs Batted In and 3) Batting Average. Consistently hitting with power and being able to get a big hit when the pressure is on and you’re your team needs it most; are the skills from which legends are made. Winning the MLB Trip Crown is so rare that only 13 men have done so since the award was first bestowed in 1878…and four of those all time All-Stars are members of The 500 Home Run Club®. 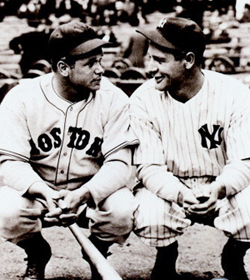 While most baseball fans and pundits alike refer to a player when he finished the year leading his own league in all three categories, as having won the Triple Crown. A less frequent circumstance is the "Major League Triple Crown,” when a player out-performs every player in both major leagues, not just his own league. 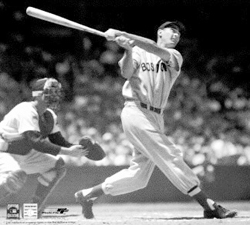 Since the birth of the American League in 1901, only five hitters: Ty Cobb (1909), Rogers Hornsby (1925), Lou Gehrig (1934), Ted Williams (1942), and Mickey Mantle (1956); have finished ahead of every other major leaguer in all three major categories.